Join us for a mesmerising night of rock and electronic grooves. Die Musikband combine expansive krautrock jams with neatly shaped synth/guitar pieces. 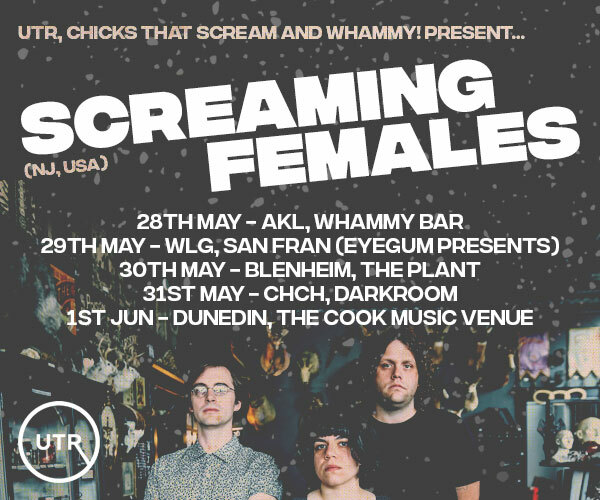 They've knocked a great set into shape after a series of recent shows, so get ready to do the Dunedin shuffle. 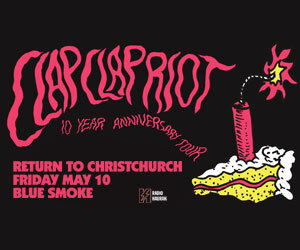 A band with a great Dunedin-scene pedigree, Jeff Harford, John Guy Howell, Karen McLean and Alex Gilks can't wait to get back to The Crown. Human Confusion combine the strong velvety vocals of Spinster's Miriam Leslie with lush electronica produced by Elenor Rayner of Robots In Love. The perfect mix of dance-worthy grooves and rich melodies. Everyone's talkin' 'bout 'em. 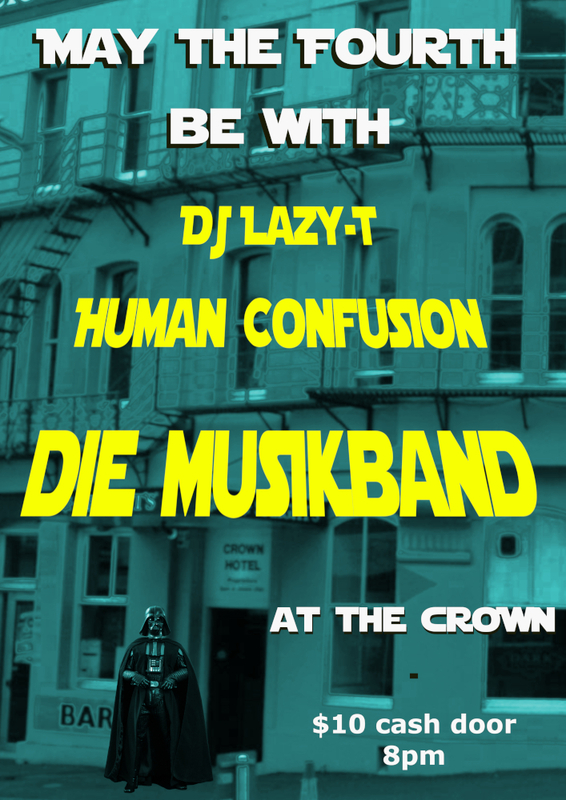 DJ Lazy-T has partnered with Die Musikband for recent shows, keeping the night flowing with rare kraut, funk and soul tracks. We're chuffed to have him onboard for another gig. 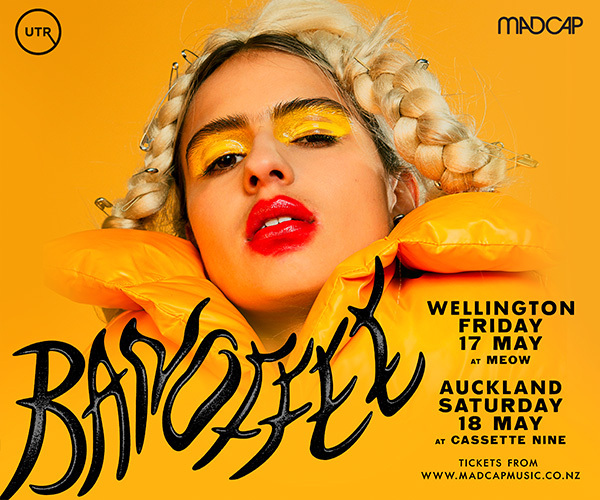 Just $10 cash on the door for your best night out in yonks.